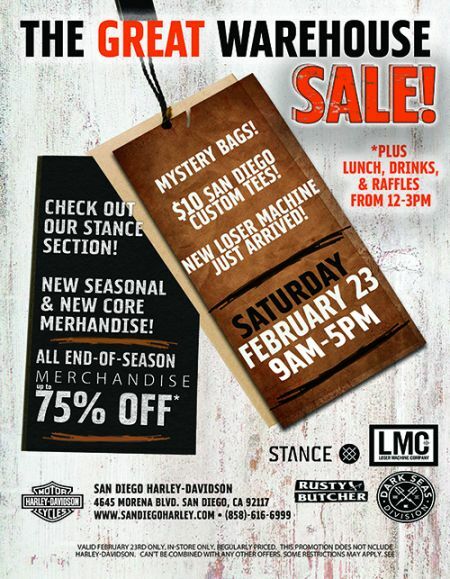 Join San Diego Harley-Davidson for The Great Warehouse Sale! You don't want to miss this yearly event. Come grab special items before they are all gone! $10 San Diego Harley-Davidson Custom Tees! End of Season Merchandise 75% Off (up to)! New Loser Machine apparel has just arrived! Plus....enjoy a complimentary lunch, drinks, desserts and raffles from 12pm-3pm.